A crisis is unfolding in Ethiopia that is slated to be more severe than the famine of the 1980s that left over 400,000 people dead from malnutrition. 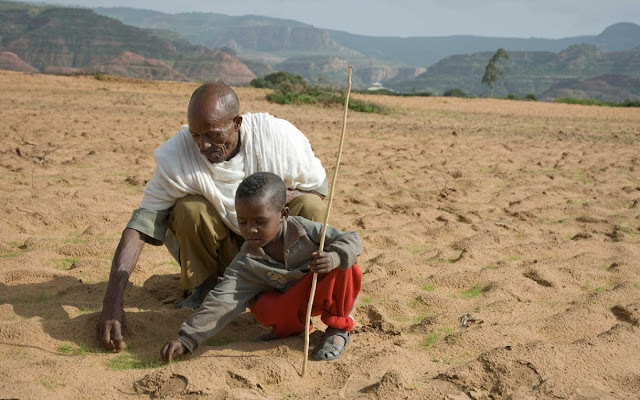 Due to the “most severe El Niño phenomenon on record” in Ethiopia, the country has missed two consecutive rainy seasons, leaving the country unable to support farmland or livestock. As a result, families have been forced to leave their homes in search of water and a means of survival. In all, as many as 10 million people have been deemed “food insecure” in Ethiopia with little relief in sight. However, the United Nations is having difficulty securing funding for Ethiopian aide as the Syrian refugee crisis dominates the news and relief efforts. This has left many to wonder if donors turned a blind eye to the biggest humanitarian crisis unfolding on the globe in favor of the more politically charged issue of Syrian refugees. Ethiopia is facing a hunger crisis that is like no other in history for the drought-stricken nation. Malnutrition, hunger, and lack of water have resulted in a state rife with individuals deemed “food insecure,” with numbers officially reaching the tens of millions. However, unlike the 1980s famine, in which 400,000 people died of starvation, the humanitarian aide is waning as donors opt to give contributions to other pressing issues. DW states the issue bluntly noting that “officials fear donors are neglecting the countryin favor of others.” The problems for Ethiopia stem from the “most severe El Niño phenomenon” on record. The El Niño has deprived the country of their yearly rains, which replenish the farmlands and watering holes across the drought-stricken nation. With rains failing to materialize for two straight years, many Ethiopians are being forced from their homes in search of water and food supplies. Sadly, while the crisis has been looming in Ethiopia, donors have been lax on donating to the country’s needs. Instead, Mitiku Kassa, the commissioner in charge of Ethiopia’s Disaster Risk Management and Food Security Agency, says that funds are being diverted to another global crisis: Syria. Kassa claims that donors likely assumed that the hunger problem in Ethiopia was not as serious as the refugees from Syria showing up on the doorstep of Europeans. Meanwhile, those in Ethiopia remain in their own country. However, it is noted that the problem is possibly even more serious than the situation unfolding in Syria, as over 10 million people in Ethiopia are facing hunger. What’s more, those numbers are expected to rise as funds are delayed. In fact, many are concerned that progress made in the nation due to humanitarian aide over the years could be completely reversed if something isn’t done immediately. According to USA Today, the world is seemingly overlooking the Ethiopia crisis as the Syrian refugee crisis is pushed in the media. The World Fund Programme says they simply can’t reach donors who are instead focusing on various crisis situations in the Middle East. As a result, the World Fund says they are slated to run out of emergency supplies and food in one or two months. To compare the issues in Syria to that of Ethiopia, the Syrian Regional Refugee Response Inter-Agency reports that as of the time of this writing, 4.8 million refugees have been deemed “persons of concern.” While those numbers are staggering and have resulted in the Syrian refugee crisis to be deemed one of the biggest concerns in the world, the number of people affected by the Ethiopian food crisis is even more staggering, with over 10 million people deemed food insecure and 400,000 children alone suffering from “severe acute malnutrition” who will die without assistance. Jennifer Poidatz, the vice president of the Humanitarian Response department, is urging people to take notice of the forgotten humanitarian crisis taking place in Ethiopia. Did you realize the magnitude of the situation unfolding in Ethiopia as the media’s attention remains fixed on the crisis in Syria?